Posted on September 19, 2017 . 47 Comments. Phase 2: Accumulation— Weeks 5-6 work on volume. Here you will accumulate more overall tonnage and movement. Recovery and nutrition will aid in your progress. Jay is an SFG II, SFL, CSCS, USAW Level 1 instructor, and an avid bicycle tourist. He owns and operates his facility, Ethos Fitness + Performance in Boston, MA. Jay believes that good movement and building strength is more than just lifting in the gym. It is in our daily character, the way we treat others, the relationships we build and the work that we do. This is his "Ethos." 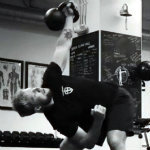 He and his team specialize in developing a strong community around training with kettlebells, bodyweight, and barbells, cultivating happy faces, strong bodies and minds, and long-lasting results through smart and enjoyable training programs. You can learn more at EthosFit.com. Loving this program, in my third week. I’ve always been slightly intimidated by get-ups, but doing them 5 days/week is really helping me get past that. Just wondering, once I increase my 1RM at the end of 12 weeks, is it okay to repeat the whole 12-week program, bumping up my kb weights accordingly, to go after a new, increased 1RM? Thanks so much for sharing your great program. I am really glad you are enjoying the program. I am excited for you to make big gains through its implementation. With regards to repeating the program, you absolutely can. However, it is definitely wise to take a deload cycle. After 12 weeks of anything, get-ups included, your central nervous system will need a rest and some time to recuperate. take some training days off, play with some different lifts, keep them light, keep them fun, keep them varied. get your body moving in a few different patterns before going back to the same ones again. 24 weeks is a long time to be following one set of lifts, no matter how dynamic they may be. hope this helps and keep me updated on your progress. Power to you! Jay, what rest intervals would you recommend between the get up sets especially the 3×3? Jim, both for myself and the athletes using this program there was “no planned rest”. I simply allowed time for adequate eniughbrecovery that the following set/rep would not be hampered by excessive fatigue and heavy breathing. With this in mind I’d say 1-2 minute should be sufficient. Hope this helps. Would performing 1HS every day with this program be too much in your opinion? As in, Halos, Goblet Squats & 1HS with a moderate weight to GTG, so to speak, while following this program. This is a fine compliment providing the sets, reps and load stays moderate. 5 sets of 10R/10L with a “working weight” would be more than adequate. I enjoy doing the S & S routine 2-3 times a week, if using your propose get up program, should I hold off on doing the S & S until the completion of the get up program, or can I incorporate it? Looking at the program in S+S, the weight jumps from 32kg to 40kg, which can be quite a progression. As stated in the book, the protocol given should not be followed blindly. So in this instance if you are struggling to make progress with the S+S protocol, YES, I would consider replacing this with my approach, making smaller jumps and accumulating more tonnage over a longer period of time. Hope this helps. I’m excited to start this protocol, but have a question about a warm-up for this. What would you recommend: S&S style warm-up, a few lighter Get-Ups, going straight at it? Armbars, single leg hip bridges and some low volume GTG (grease the groove) pull-ups one day and: squat pry, push-ups, and again arm bars on squat/knee dominant days. Really getting the hips and shoulders loose is the plan. Hope this helps and let me know how it goes. That’s awesome, James, thanks for the reply. I just started PTTP, any chance they could be ran together? I have little experience with Power To The People, so I could not say for sure. However, my inclination would be to say not. I have no doubt that Pavel programmed the get-up specifically for PTTP so attempting to blend the 2 would be difficult, to say the least. This is great! Thanks Jay! As someone who has struggled to make the jump from 32 to 40 kg this programme looks ideal. Just one question for clarification 3×1 refers to one set of 3 continuous reps? Karl, gladbyou enjoyed the article. Through out the program the sets come first then reps (sets x reps). So in phase 1 you’ll only be doing single reps all 4 weeks. I was wondering if you could comment on using this program to progress your S&S working weight vs. following the traditional S&S progression scheme. I am currently comfortable at 24 kg, but the last time I made a run at 32 kg (following S&S progression), I started getting sore shoulders (likely tendinitis or impingement). Might this be a “gentler” way to manage the progression and get those shoulders more stable under the higher weight? Absolutely. Time under tension is just another variable (load, volume, intensity etc.) to be tweaked and with regard tot he get-up, where a well-performed rep can take 35-45 seconds, repetition of the pattern at a lower load, increasing time under tension is a great way to groove the sticky pattern you may be hitting in your attempt at the 32kg. I would also recommend using in the armbar to help mobilize and stabilize the shoulder for efficacy. 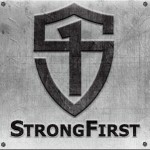 I wrote about this in my first article for SF you can find it here: http://www.strongfirst.com/arm-bar-day/ hope this helps my friend. Great article. Can you clarify that where the table says 3×2 w/65% this is 3 sets of 2 reps and not 3 reps for 2 sets? 3 sets of 2 reps (2 in a row). This is the same for all the other written sets/reps in the program. Great article! What kind of load, volume and rep scheme are you recommending for the accessory work? Thanks in advance! I worked an “easy strength” style plan of 5×5 @75-85% for most of my accessory strength drills. This is what I would call my working weight. Some days I would go lighter and some I would push it depending on how I felt, but whatever I did was not to interfere with my getup practice for the next day. Honestly, you could have made a whole book out of it (include exercise descriptions, mobility, nutrition) and sold it. Instead, you shared it. Noble move! Thanks for the article. What does the “L”, “M” & “H” next to the phase 1 days indicate? Thank you. You’re welcome Eric. As Evan notes below, L, M, H stands for light, medium and heavy. Hope this helps. In my regular Simple & Sinister practice I use a heavier bell and alternate arms every rep for my get ups. On my “die but do”-day I use a lighter bell for both get ups and swings. I do five straight repetitions with my left arm before switching to the right (doing the same). This happens no more than once a week. Longer time under tension with a lighter bell. Programming so simple I make Pavel proud 🙂 (I hope). A great way to build increased time under tension without having to do a lot of overhead pressing. Good work. The TGU’s are great, no doubt. My feedback would be there are a lot of different size bells needed. Mine are in half pod increments rather than 2 lbs increments. I already have quite a few which should be enough for any program without breaking the percentages down further. Thanks for putting the program together and your passion to inspire others for fitness. Yes this program calls for access to a full variety of bells to compete well. With smaller adjustments over time the progression from 1 bell to the next can be better managed. Maintaining the standard of the movement and safety of the athlete is paramount. Larger bell jumps increase the risk of fatigue and breakdown. It is also important to note that this programs end purpose is to increase 1RM. Close to maximum the increments of increase in weight need to be minor to avoid failure and breakdown. In this case I like to refer to he max effort attempt of an Olympic weightlifter who may work for years to increase their 1 rep max by just a couple of pounds. It is just lucky that they can add small plates, and don’t need a completely new bell. One of the few draw back of the kettlebell I guess. My suggestion for bridging the gap with the array of bells you have, would be to simply attempt this program with the bells closest to the recommended percentages in the table above. I find the get up to be a little “alternative lifestyley” for my own training but think it’s wonderful nonetheless. really like the concept of the single leg dl written about in a previous article tho and find it a helpful addition. John, ‘Alternative Lifestyley’ is the funniest thing I’ve heard all day! I can’t wait to throw it out myself! I get it. It’s not a foundational “big 3”. I like a heavy deadlift as much as the next guy. However I think for athletes and gen pop clients alike, the getup is the thread that ties he pieces of movement and strength together. Nothing teaches movement under tension like the getup. Akin to breakdancing with a cannonball, we are beginning to see NFL strength and conditioning coaches substitute the bench press for the get up for improved movement capacity, balance and stability in addition to strength. Glad you like it Kozushi. Jay, do you recommend any particular work:rest ratio? Rick, good question. No. Rest as much as needed. The getup shouldn’t be rushed and if you’re gasping for breath beneath the bell that’s going to get rough. So rest as much as needed. I’d likely take shorter rest in single reps and longer rest between sets of 3. Well written article, staying with basics. Pretty intimidating exercise for some people, but the rewards, as stated, are immense. Absolutely Eric. Glad you like the article. Nice work on your article I program. I could not agree more, everyone should be doing TGU’s. Yes, get-up is a good wakeup. Thank you. Found the get up to be the driving force behind the 1/2 bodyweight press success. Even now in our personal and group training plans for next months TSC the getup features heavily. Glad you liked the program hope it can help some people hitnsome new PR’s across the board.